Standard - $11.99 Only 4 left! There are over 950 different known species of bats in the world and scientists estimate that the total number including ones undiscovered is closer to 1200! 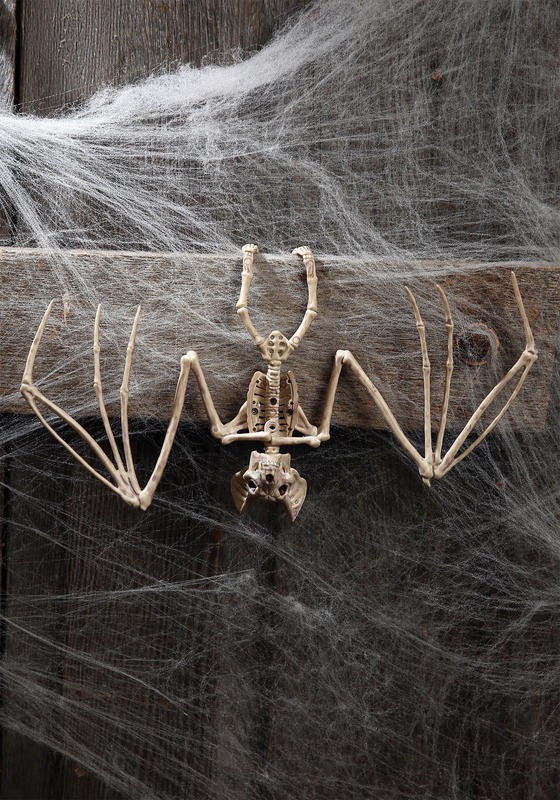 One little known fact is that we actually have a very rare species of bat that likes to hang out around all of our Halloween stuff. 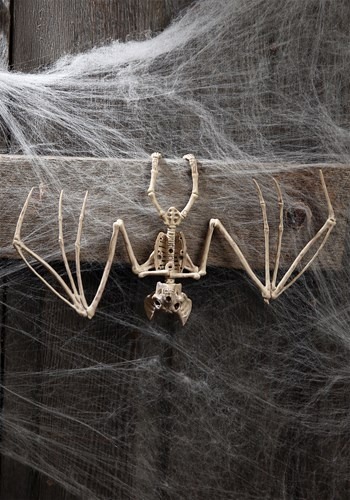 We call him Frederick but our mad scientists have named him the Skeleton Bat. Don't let his lack of skin fool you; this bat means business. He's skilled when it comes to swooping and his screeches are deafening, so we guess you could say he's battier than any other species out there. He usually only comes out with all his friends during Halloween. They love to crash parties though, and they're positive they could make yours this season so much fun! They're only half a foot tall and just under a foot wide at the wingspan, so they'll fit just about anywhere, whether that means hanging them from a ceiling or propping them up on a shelf.